Provides one-button access to extensions trunks and system features Equipped with: 2-set leg angle adjustment and wall-mounting hardware Uses a digital station port Maximum of (4) DSS consoles per extension Maximum of (10) DSS consoles per system. This AT&T Connect-to-Cell Accessory Handset works with the CLP99387 and CLP99587 SKUs. It can connect to iPhone, Siri and more. It features Caller ID and Call Waiting.. The GWN7000 is a powerful enterprise-grade multi-WAN Gigabit VPN router. Ideal for the enterprise, small-to-medium business, retail, education, hospitality and medical markets, the GWN7000 supports comprehensive Wi-Fi and VPN solutions that can be shared across one or many different physical locations. It features high-performance routing and switching power and a hardware-accelerated VPN client/server for secure inter-office connectivity. To maximize network relabel laity, the GWN7000 supports traffic load balancing and failover. The GWN7000 features an embedded controller and automated provisioning master that can setup and manage up to 300+ in-network GWN series Wi-Fi Access Points. This can be easily operated through the product's intuitive web browser user inter face, which also offers a central panel to monitor and control the entire network. .
PL-82905-21 SAVI Spare Headset W730, W430, WH210.Plantronics SAVI over the ear headset.Wideband for best PC audio telephony.Noise-canceling microphone filters out background noise.Digital Signal Processing (DSP) provides more natural voice sound.SoundGuard Technology provides protection against audio spikes.Integrates PC and desk phone audio.Business critical sound quality.Premium PC audio.PL8157401. Fluke Networks HC-44007-000 Can Wrench Hex Head Fluke Networks HC-44007-000 Can Wrench Hex Head.Two hex head sockets (7/16 inch and 3/8 inch).Color-coded socket ends for quick size identification.Wrench body constructed of tough, impact resistant, and abrasion resistant material.Wire stripper constructed of stainless steel (rust resistant).Socket ends guaranteed not to split or break up to a maximum torque of 45 ft. lbs..Nylon body ergonomically designed to mold to user. Product description Based on DECT technology, the Yealink DECT Desk Phone, is ideal for those places that you desire a desk phone with the cordless convenience. No wired LAN is required, all you need nearby are a power adapter and a DECT Dongle DD10K, which makes your installation easy, quick and convenient. 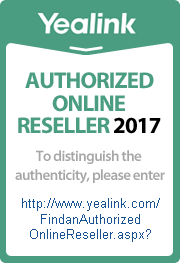 In addition, when paired with Yealink DECT IP base station, the integration of Yealink DECT dongle DD10K enables T41S/T42S to work concurrently with the Yealink DECT system as a handset (Yealink W60B suppports up to 8 DECT handsets in total). All of these advanced technologies create an improved user experience while enabling different users to connect in a range of ways that enhance productivity. Replacement Polycom Universal Power Supply for SoundPoint IP 320, 330, 430, 550, 601 and 650. 24V, 0.5A Universal Power Supply for SoundPoint IP 320, 330, 430, 550, 601 and 650. 24V, 0.5A, NA power plug. .
Plantronics PL-202320-02 Voyager Edge UC B255 M.Voyager Edge UC Bluetooth Headset with Microsoft Lync.Portable Bluetooth mini USB adapter for always-ready PC connectivity Enhanced voice alerts announces caller ID, connection status, talk time remaining, and more. HD Voice and Full Duplex Speaker Phone - 3-line Color Graphical LCD - Two Gigabit Ethernets PoE - Zero Touch Provisioning - Two-year Warranty - Uses EHS cable APC-41 EHS (PL-38350-11) - Power supply: DSA-42D-482480063. 30.0 megapixel Ultra Hi-Res Performance; 4K Ultra HD video; Dual image sensors; PIR adjustable range; Security Mode (re-write SD memory) ; Reflex trigger: .4 sec; 45 NO GLO IR emitters; Intuitive backlit menu programming; Matrix advanced blur reduction; Retina low-light sensitivity; 16:9 wide image ratio; Quick Set preprogrammed option; Burst mode: 1-9 images per triggering; 5 sec-59 sec/1 min-5. Especially designed for busy executives and professionals, Yealink SIP-T54W is an easy-to-use Prime Business Phone with an adjustable 4.3-inch color LCD screen that you can easily and flexibly find the comfortable viewing angle according to the personal and environmental needs. With the built-in Bluetooth 4.2 and the built-in dual band 2.4G/5G Wi-Fi, the SIP-T54W IP Phone ensures you to keep up with the modern wireless technology and take the first chance in the future wireless age. Its built-in USB 2.0 port allows for USB recording or a direct wired/wireless USB headset or up to three Yealink EXP50 expansion modules connection. Benefiting from these features, the Yealink SIP-T54W is a powerful and expandable office phone that delivers optimum desktop efficient and productivity. .
RCA Cordless accessory handset DECT 6.0 technology 2 Line Call waiting caller ID with 99 name and number log Handset speakerphone 99 Name and number directory Do not disturb with variable length settings. Made for almost any Bluetooth enabled device Supports Bluetooth v2.1 Supports A2DP Profiles 2.1 channel stereo sound LED light effects RCA stereo audio inputs 3.5mm speaker outputs Wireless range: 33 feet Volume control Bass and Treble controls. Entry-level phone, well suited for common workspace 3.7" 360x160-pixel graphical display, fully adjustable HD Voice with Yealink Acoustic Shield technology 8 line keys, 12 SIP accounts, 21 memory keys Built-in Bluetooth Dual-port Gigabit Ethernet 1xUSB port for call recording and wireless USB headset. 8 available daily feed times 1 to 30 seconds per feeding Adjustable (low, med, high) motor speed control Battery charge level icon Includes in-line fuse protection to help guard against power supply overloads. The GXP1625 also supports multi-language and call-waiting. 132 X 48 pixel backlit graphical LCD display. 2 dual-color line keys (with 2 SIP accounts and up to 2 call appearances), 3 XML programmable context-sensitive soft keys, 3-way conference HD wideband audio, superb full-duplex hands-free speakerphone with advanced acoustic echo cancellation and excellent double-talk performance.. Single sip account, up to 2 call appearances, 3 xml programmable context-sensitive soft keys, 3-way conferencing, multi-language support Personalized music ring tone/ring back tone and integration with advanced web and enterprise applications, local weather service Dual-switched 10/100 mbps ports Use with Grandstreams ucm6100 series IP PBX appliance for zero-config provisioning, 1-touch call recording and more Full-duplex hands-free speakerphone with advanced acoustic echo cancellation, electronic hook switch (EHS) with Plantronics headsets. Your hearing is important, so whether you need hearing enhancement while you hunt or hearing protection while you shoot, count on Walker's Alpha Muffs 360 Hearing Enhancement Earmuffs to give your hearing every advantage. These ear muffs feature 50 dB of power and 9x hearing enhancement, as well as 4 wind resistant, high frequency stereo microphones for precise sound directionality. Fine tune them with the 2 independent volume controls and protect your hearing with 24 dB of noise reduction. Once your hearing's gone, it's gone forever, so choose these Walker's Alpha Muffs 360 Hearing Enhancement Earmuffs before you go on your next hunting or shooting adventure. . Remote monitoring anytime from anywhere with email alerts and push notifications straight to your smartphone or tablet Outdoor weatherproof IP66 rated metal housing with Smart Motion infrared detection and software detection 6-Surface-mounted high-power LEDs and 40-feet night vision range Record onto Micro SD card (Supports up to 32GB) (SD Card not included) Adjustable low light viewing (via Software App).